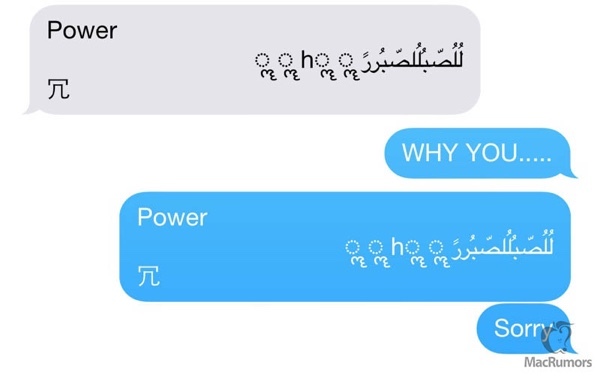 Apple released iOS 8.4 beta 4 download to developers just yesterday, and now we have confirmation that this new build (12H4125a) has fixed the bug which was causing iOS devices to crash whenever they received a particular string of Unicode characters through iMessage or SMS. When the bug was first discovered, it was the Messages app that bore the brunt of the damage as opening the app would usually display the threads, forcing it to crash. Interestingly, if you received the message in an already opened conversation, the app remained stable, but it all went downhill the moment you tried to move to any other thread in the Messages app. The bug is believed to be centered around how Unicode characters are handled in banner notifications in iOS. As a result, the vulnerability was found to extend to third-party apps as well that made use of the notification system, such as Twitter, WhatsApp, and even Snapchat. Luckily – as the iOS 8.4 beta 4 shows – the bug has been ironed out, and will be part and parcel of the final release due at the end of this month. 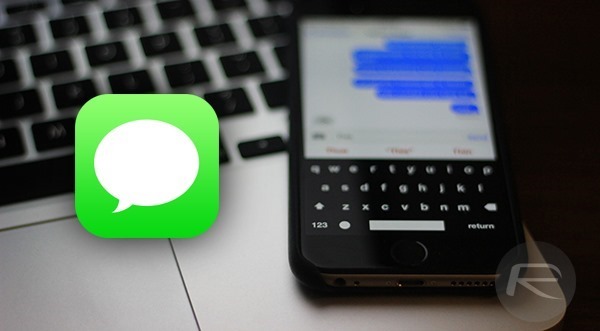 A few weeks back Apple had also released a support document on its website which detailed a temporary workaround – which can be found here: Apple’s Fix For iOS Text Messages App Crash Bug Posted – helping iPhone and iPad users to cope with the unfortunate situation, but it was far from being a long-term solution. For jailbroken iOS devices though, it was a different story, as a few Cydia tweaks began arriving immediately on the scene to save users from the perilous state of affairs. These Cydia tweaks proved to be very useful for jailbroken users given that there is currently no jailbreak available for the latest versions of iOS, however that may change soon, thanks to the upcoming jailbreak from Pangu team. iOS 8.4 features a redesigned Music app with support for Apple Music streaming service. Both iOS 8.4 and Apple Music streaming service are set to launch on the 30th of June.